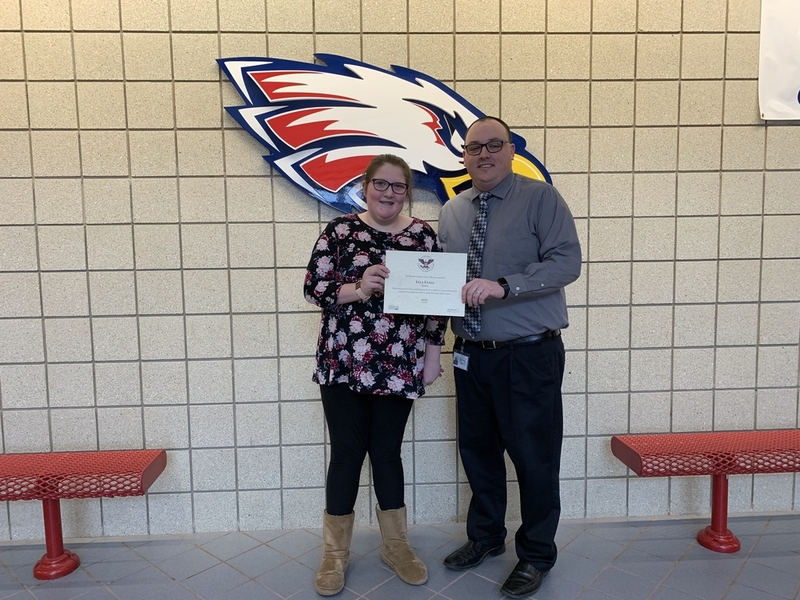 Lyla Evans of Hugoton Middle School has been honored for her exemplary volunteer service with a President’s Volunteer Service Award. The award, which recognizes Americans of all ages who have volunteered significant amounts of their time to serve their communities and their country, was granted by The Prudential Spirit of Community Awards program. Lyla volunteer’s her time with the after-school program, the summer program, and McCurdy Ministries during the summer to help make sure that their school is ready to go for the upcoming school year. “I know I speak for everyone at HMS when I say that we are very proud of Lyla for taking the time to give back to others,” said Middle School Principal Tyson Eslinger. Prudential Spirit of Community Award application details were distributed nationwide last September through middle level and high schools, Girl Scout council, 4-H organizations, American Red Cross chapters, YMCAs and Affiliates of Points of Light’s HandsOn Network. These schools and officially-designated local organizations nominated Local Honorees, whose applications were advanced for state-level judging. In addition to granting President’s Volunteer Service Awards, The Prudential Spirit of Community Awards selected State Honorees, Distinguished Finalists and Certificate of Excellence recipients. Volunteer activities were judged on criteria including initiative, effort, impact and personal growth.